Pro-Social Skills: Just for the Sandbox? In November 2015 the American Journal of Public Health published studies indicating that such social skills as cooperation, kindness and empathy are keys to succeeding in school and avoiding major problems later in life. The study even suggests that neglecting these skills threatens public health and safety. Our research also indicates that the consequences can be dire when pro-social skills are “forgotten” in the workplace, damaging well-being, health, safety and productivity. Other terms often used for pro- and anti-social are civil and uncivil, each associated with well versus caustic work environments. They also indicate they are less productive at work, withhold information and may seek other employment. The costs are significant for individuals and organizations when companies do not value pro-social behaviors. While incivility exacts a high cost, civility (pro-social behavior) is often undervalued or taken for granted, and therefore not emphasized. It is a mistake to take pro-social skills lightly or as fluff. Companies that have tracked, and reduced, incivility in their work environments have saved millions of dollars annually. Do you want a workplace filled with dishonest, mistrustful, disrespectful, and uncollaborative interactions? We tend to assume that everyone already knows “how to play nice in the sandbox.” We have all heard the admonition to play nice but usually not at work, and many have not learned that they should, or have forgotten how, to apply these pro-social skills in the workplace. Difficult to learn and practice, these skills demonstrate strength, not weakness. Observe and reflect: what does your experience tell you? 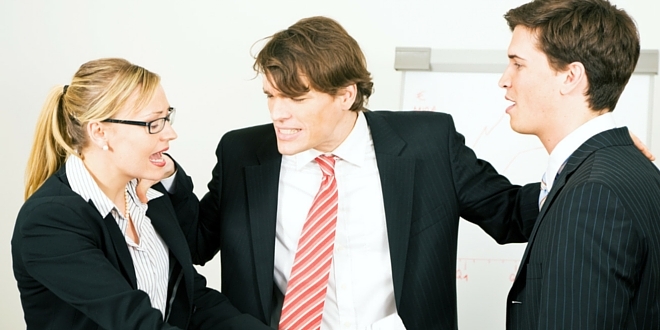 The bottom line is that an uncivil workplace counters being a great place to work. No one benefits. Incivility quickly and deeply undermines a company’s wellness and safety program, regardless of health initiatives or safety training. In addition, incivility undercuts productivity and a company’s mission for success. A civil, pro-social workplace benefits employees and businesses alike. Creating a civil and well culture is not necessarily easy but always worth the effort! The foundation is mindful self-awareness by leaders and employees. Start by honestly assessing the levels of incivility between managers and employees, and within employee work groups. The results can indicate the best approaches to creating a pro-social work environment, which leads to developing a great place to work with high levels of engagement and well-being. The efforts will have a transformative payoff.